OK guys, it’s time to finally get back to posting about my big trip to Europe from the end of last year! We’re a quarter of the way through 2015 so I’d say it’s about time to catch this thing up! 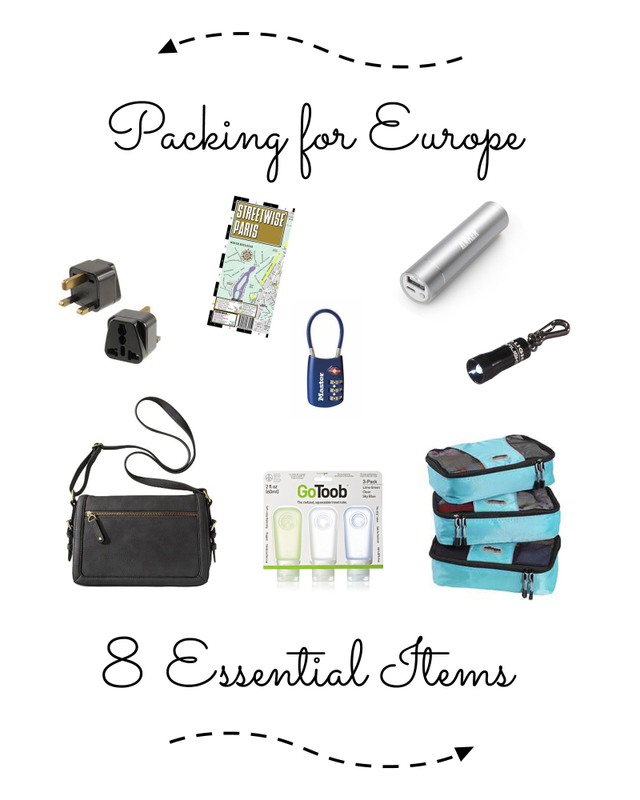 When I planned out my 8 day trip to Europe there was one day that I didn’t have concrete plans for. I had some ideas for what I could do but I never nailed anything down. All I knew was that I was leaving my friends’ house in the morning and that I needed to return my rental car in Manchester before leaving on the train for London the following morning. I didn’t make the decision about what to do with that day until I was already in Europe and I’m so glad that I ended up going the way I did. 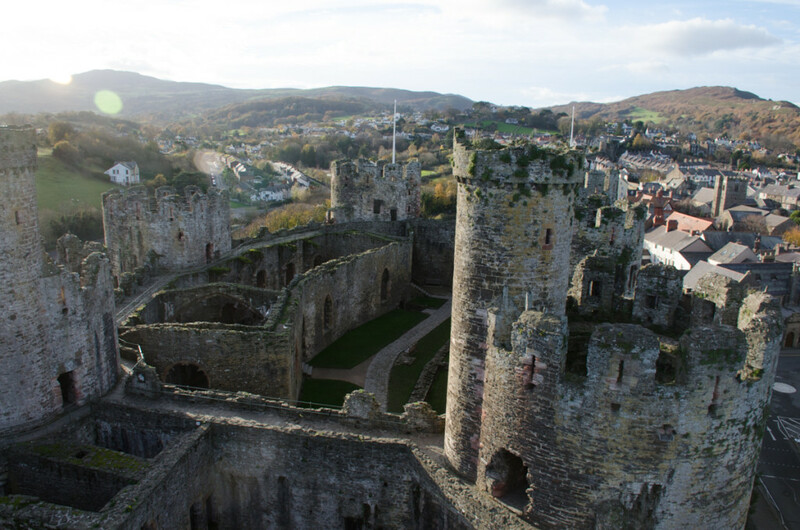 Conwy Castle in Wales ended up being my favorite attraction of the entire trip. 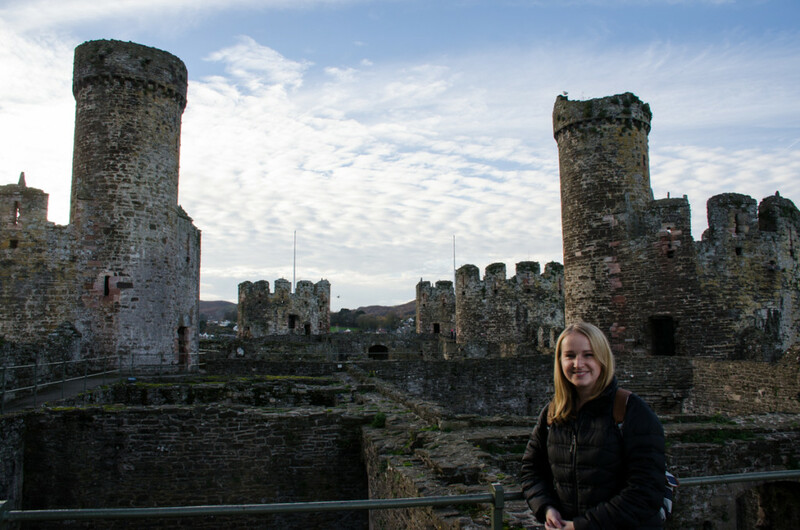 But first, some background: I was reading various blogs while planning my trip and read about Conwy castle in northern Wales. I was contemplating trying to drive over to Wales while I was on this trip because it’s the one UK country that I haven’t been to yet. I thought it would be cool to have the “complete set” of all four UK countries. 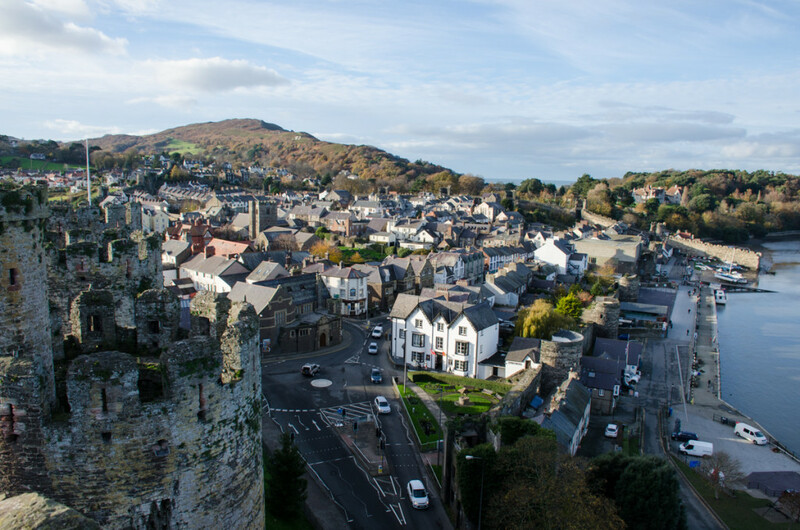 Discovering an interesting looking castle that was within reasonable driving distance (it was 3 hours from Harrogate and then about 1.5 hours back to Manchester) ended up putting Conwy at the top of my list for things to do that day. I wish I could have taken a picture of some of the signs freeway signs in Wales but I was driving and didn’t have anyone else in the car. I felt like I was in Ireland again because all of the signs were in both English and Welsh (which to me looks like Gaelic – ie Ireland). Crossing the border into Wales was unceremonious and I almost missed the tiny “Welcome to Wales” sign but it wouldn’t have mattered because it was immediately obvious from the multiple language signs. I fell in love with Wales within a matter of minutes. Not only is the countryside gorgeous (much like England) but there were also castles tucked into places here and there was you drove along. 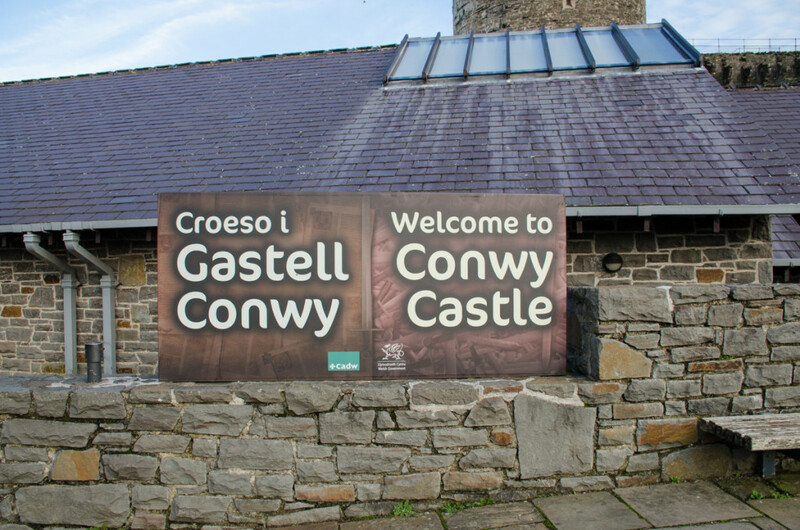 At one point I pulled over to check out a castle that I saw signs for but it was closed that day. I was also happy to discover numerous Starbucks along the freeway route I was taking. And yes, I bought a Wales mug. 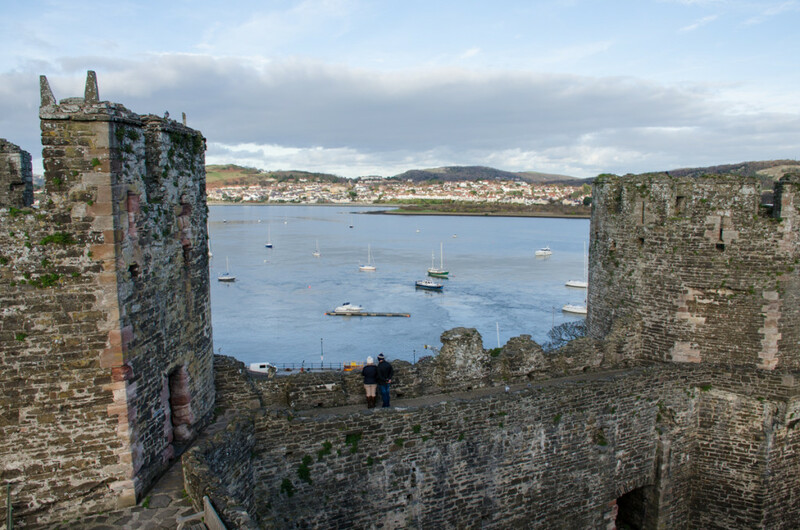 My GPS was pointed at the town of Conwy and I knew I was getting close when I started seeing water on one side. I was completely surprised by how small the town is when I got there. 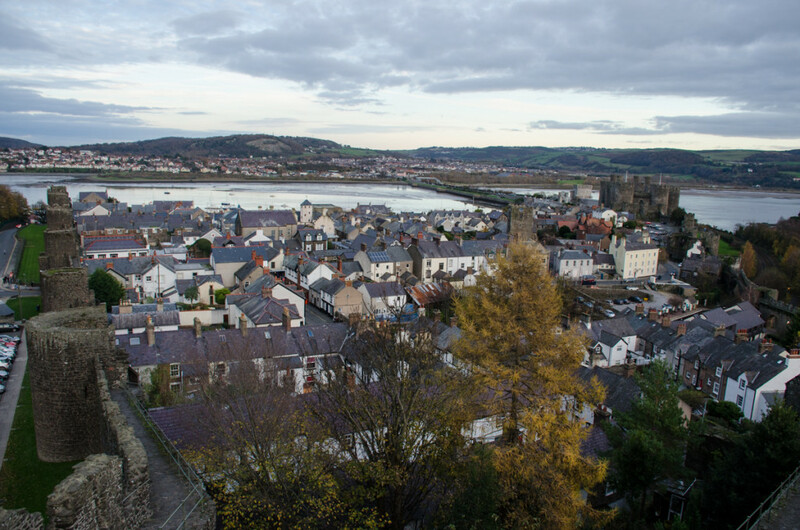 Conwy is a walled city that eventually extended beyond the original walls but it’s the most intact walled city I’ve ever visited. The few roads inside the walls are all one way because they aren’t wide enough to be doubles. To say the city is quaint would be a massive understatement. 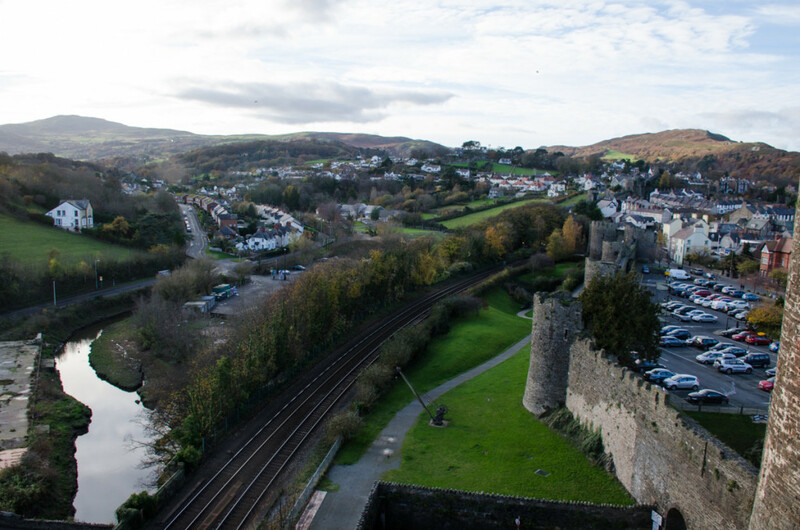 As you’re driving towards it you can’t miss the main attraction – Conwy Castle. 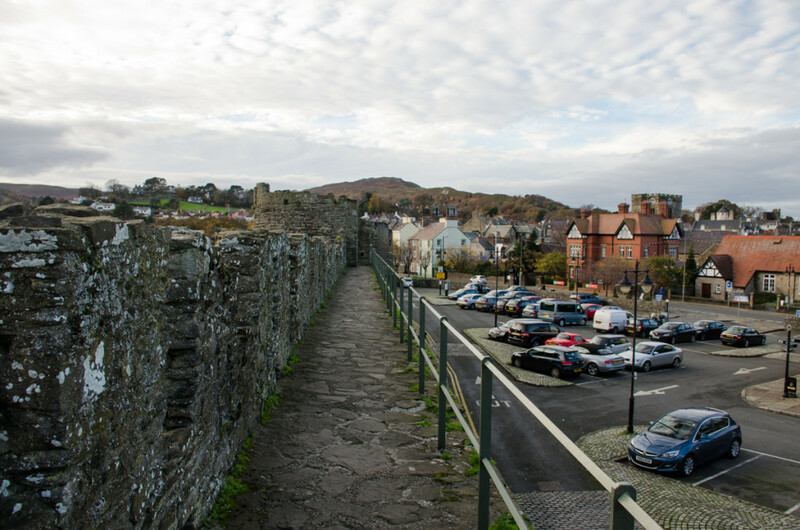 There’s a parking lot just past the castle inside the city walls and that’s where I’d recommend parking if you’re wanting to walk around any part of Conwy. 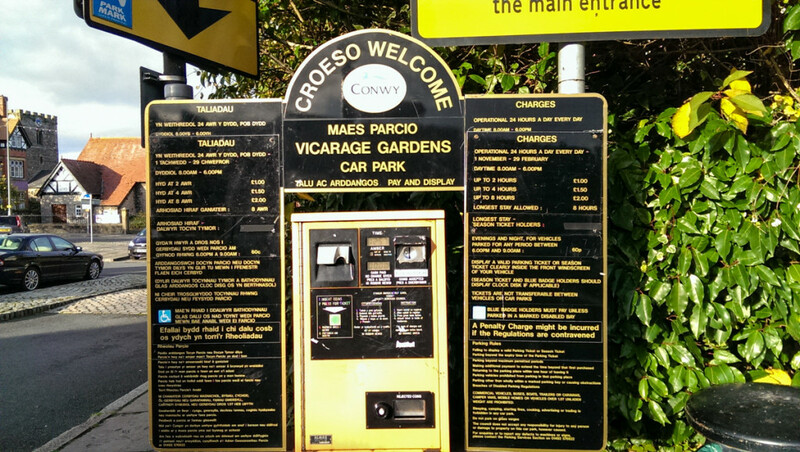 It’s cheap parking and if you have a chip & pin credit card you can use it to pay. Now here’s where I got confused. 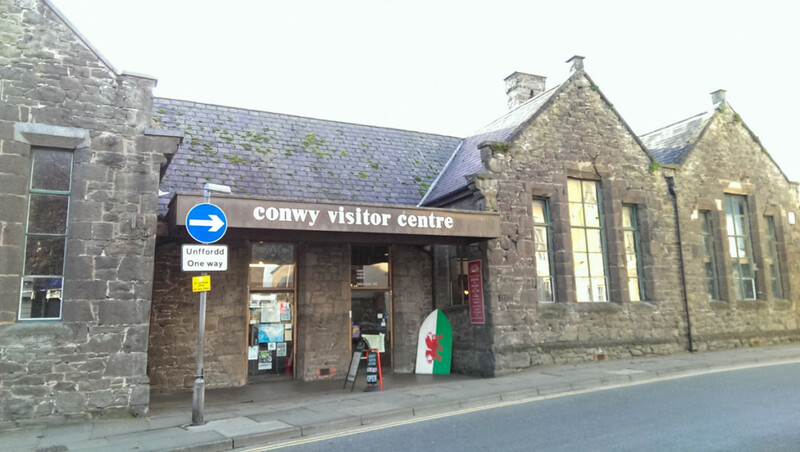 There’s both a Conwy Visitor’s Center and a Conwy Tourist Center. 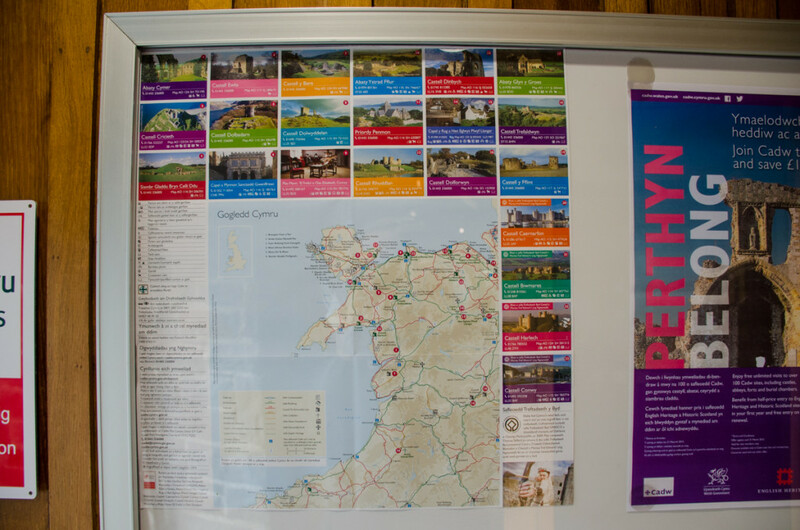 I went to the visitor’s center thinking that I could get a map and some useful information. They did have free maps but they informed me that they couldn’t give advice and pointed me in the direction of the Tourist Center. Why the heck is there a visitor’s center that can’t help visitors? I still haven’t figured that out. 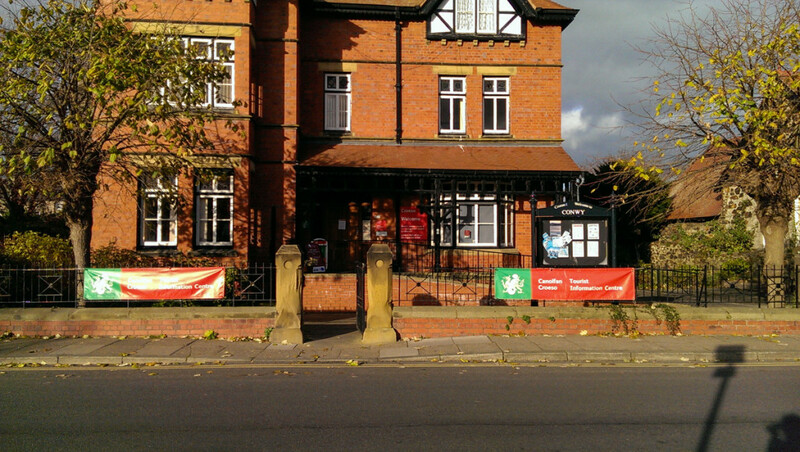 But nonetheless, the Tourist Center is directly across from the parking lot and I’d highly recommend starting there. 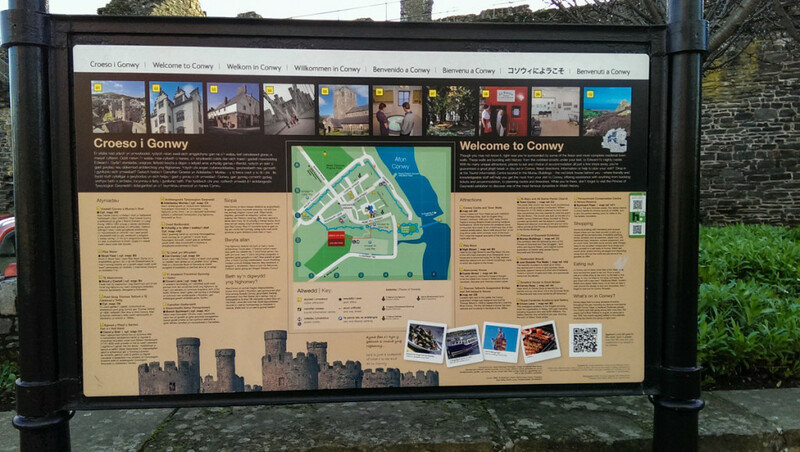 There’s also a fantastic large map of Conwy right in front of the castle parking lot. Very useful. Now I should warn you, there’s not a whole lot to this town. There’s even less when you visit during the off season (I was there in November). 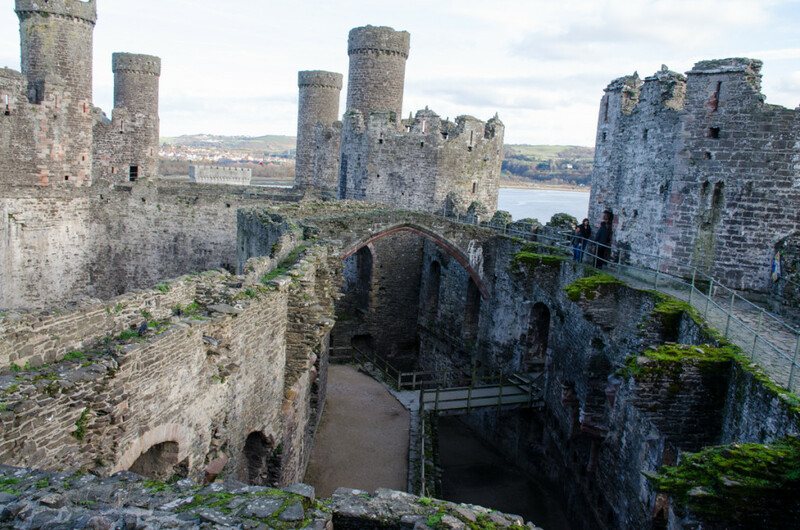 However, the castle itself is more than worth the trip. 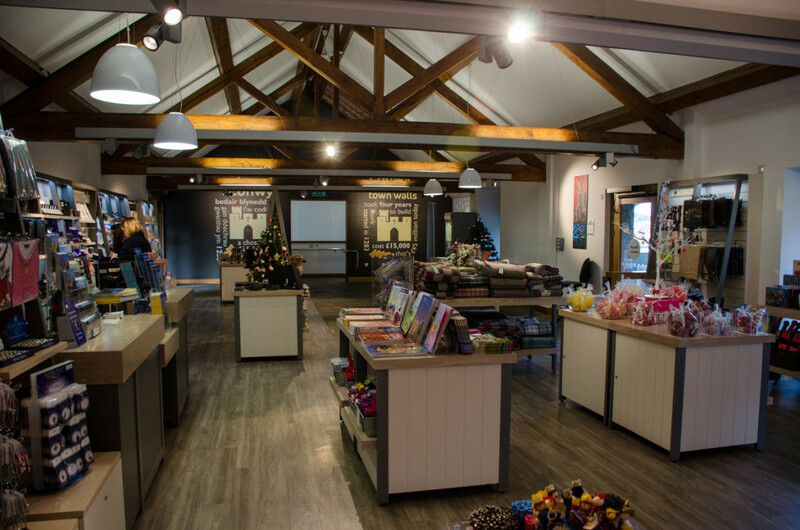 You can enter the gift shop directly from the parking lot and pay for your ticket. 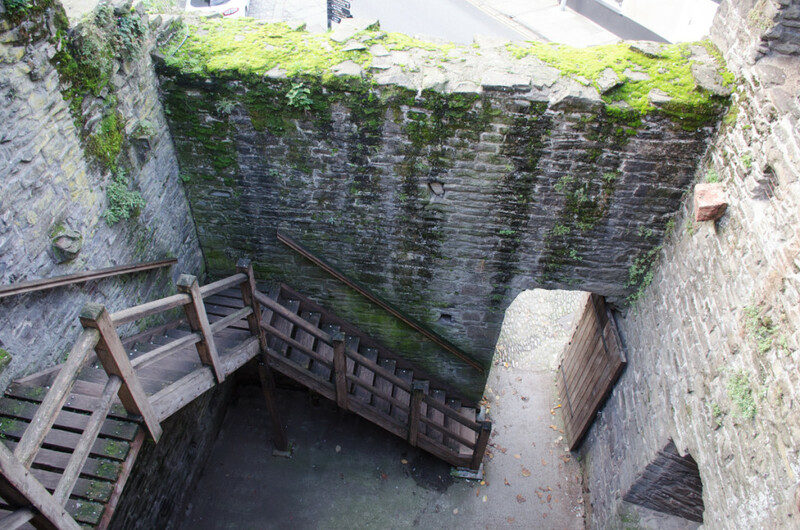 Then from there you just get to wonder through the castle at your own leisure. And another warning I should give, this castle is pretty sparse. That’s actually what I loved about it. There weren’t any actors wearing 13th century clothing or any rooms setup to look like they did back in the day. Sure there were some informational signs here and there telling you details and there were pamphlets for all that. But what I loved was that you get to wonder through a large castle and see it for what it is – a castle that’s still standing today. 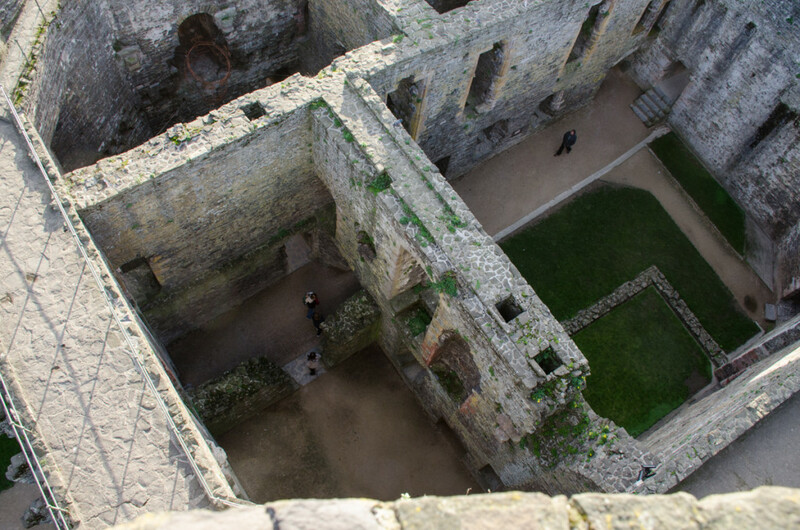 And then you’re in the main courtyard with an entire castle to explore! 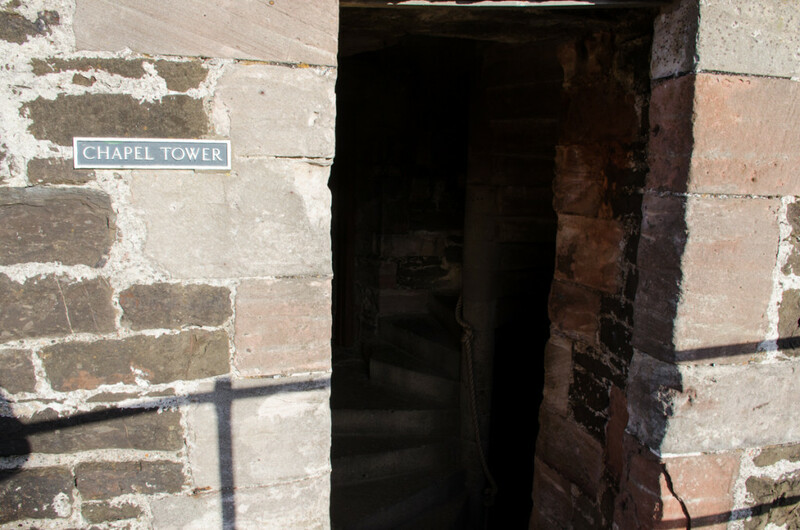 You can walk to the top and bottom of all of the towers and I went up each one. The view is slightly different from each and I loved them. 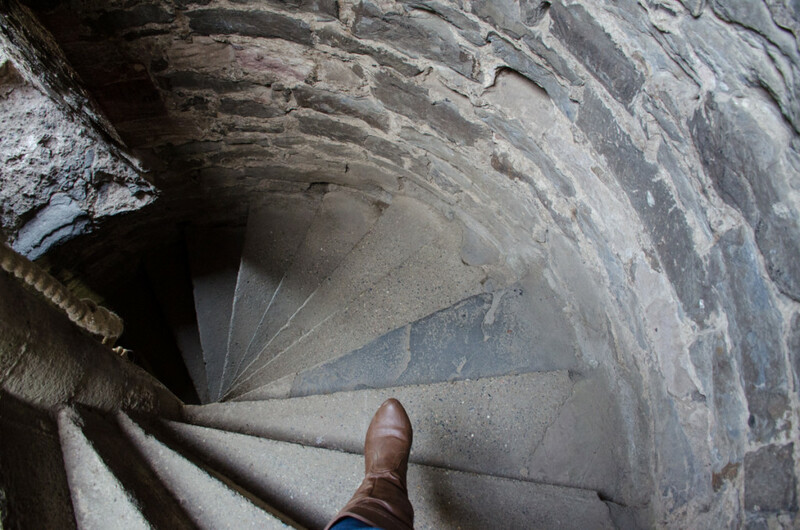 I also loved going down and exploring the various rooms in the lower part of the castle. 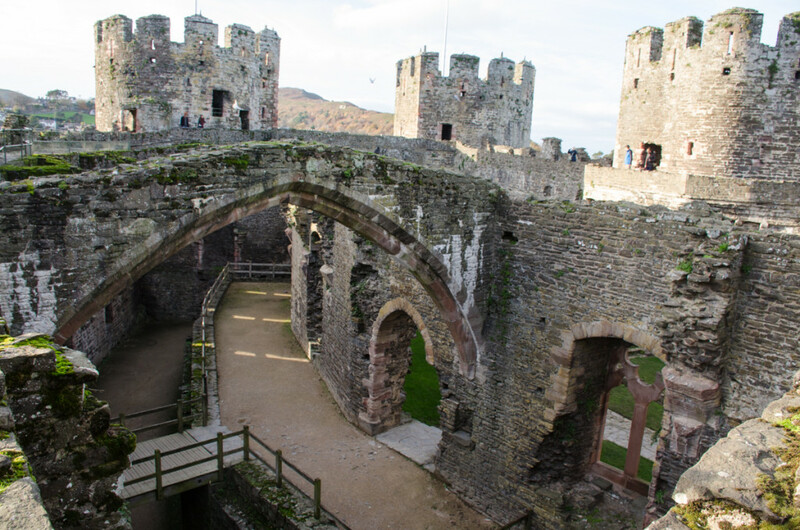 It’s fun to imagine what it used to be like when the castle was the fortress of the city. And the on at the tail end of my time there the evening light became perfect and I started taking even more pictures to add to the massive amounts of pictures I’d already taken at this point. 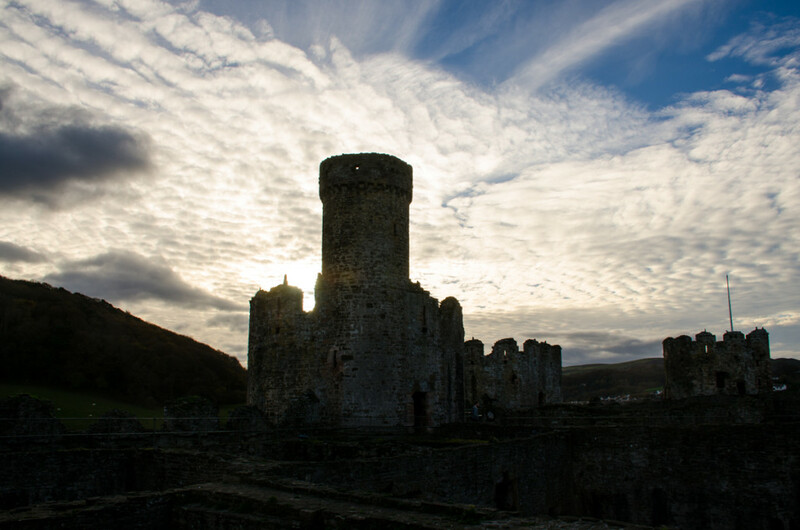 Wales itself is gorgeous and then throw in a beautiful castle and I have a hard time containing myself. After spending way too much time wondering around the castle and taking pictures I finally decided to explore the rest of the town. 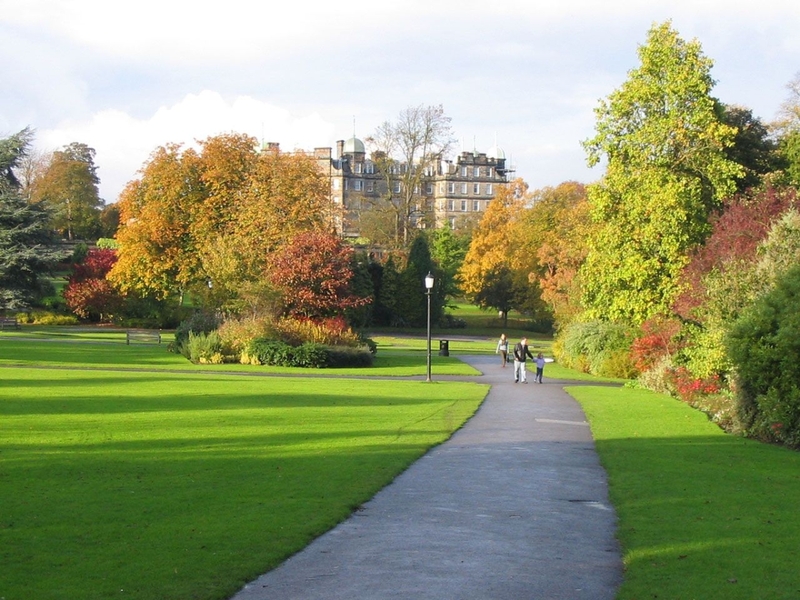 There’s not much to it so it’s an easy walk through the city itself. The walls had railings for safety all the way around and all of the staircases were in tip-top shape so it makes for an enjoyable experience. 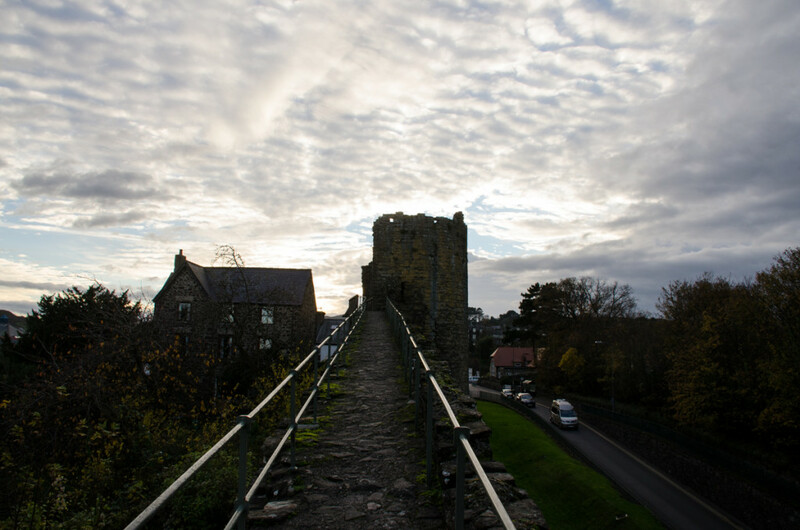 Along the opposite corner from the castle is a bit of an incline to get to the corner but it makes for an awesome vantage point over the city! 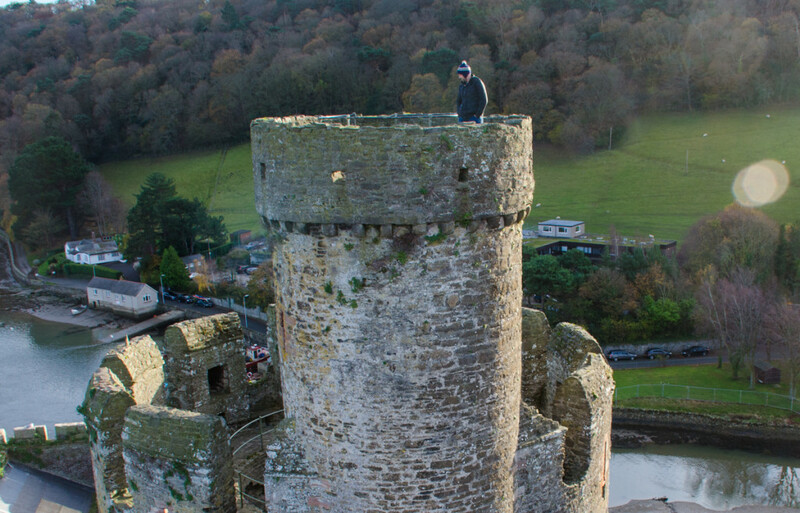 You can also climb to the top of the towers along the walls. 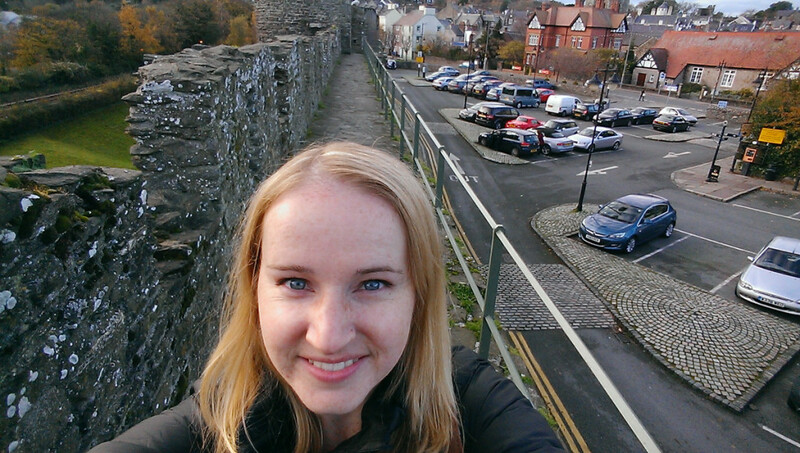 And here’s a funny picture of my attempting to take a selfie with a shot of the city walls in the background and ending up with mostly parking lot – ha! 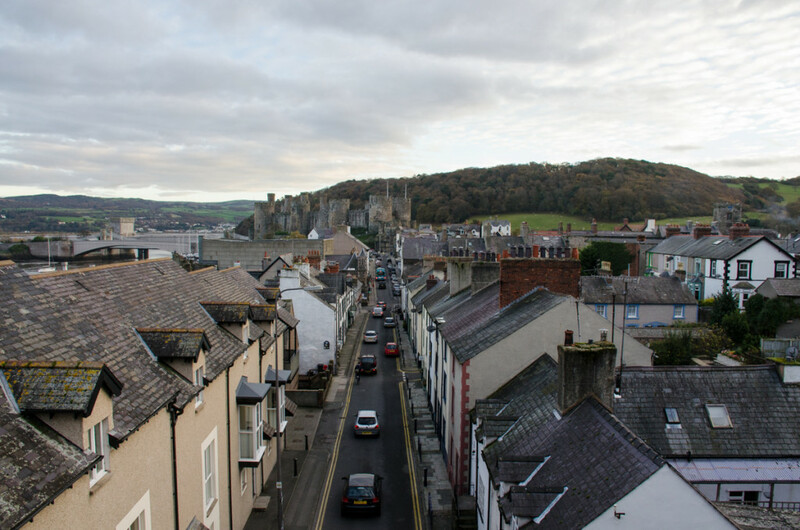 After a wonderful afternoon/evening spent exploring Conwy I started making my way back to Manchester to start the next phase of my trip. 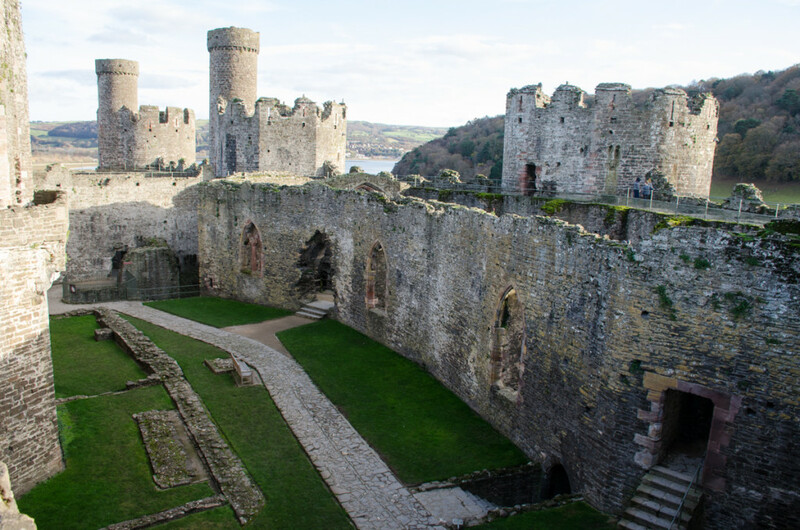 I’m so glad that I ended up squeezing Wales and Conwy Castle into this trip and I’m greatly looking forward to making it back to Wales again in the future. Luckily they have plenty of castles to choose from! 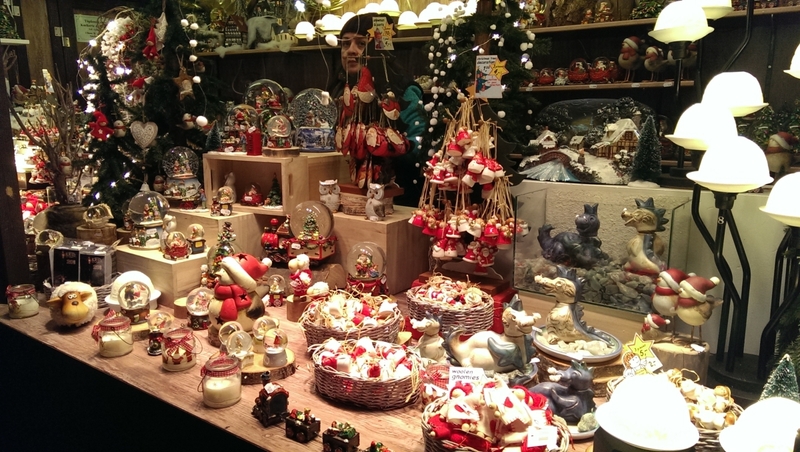 I snapped this picture outside of the castle gift shop and I look forward to coming back to see more of these someday! 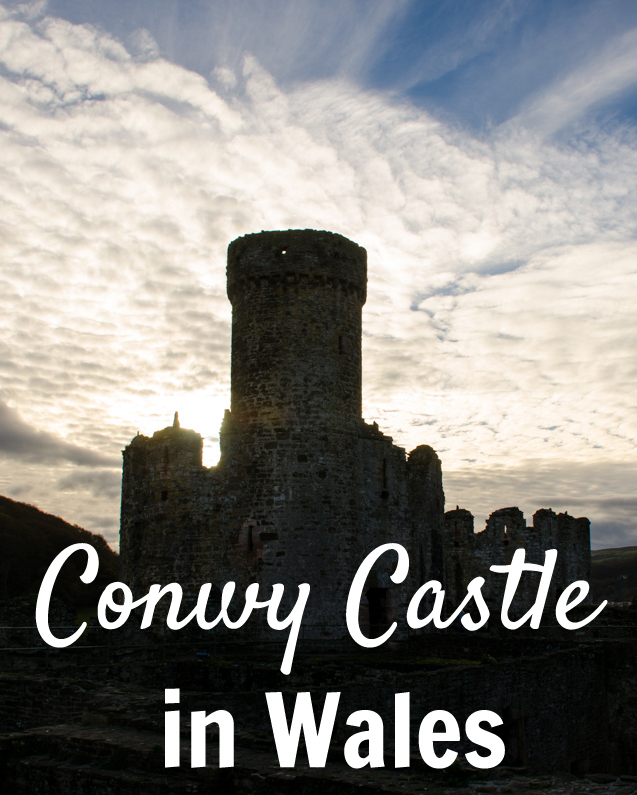 If you’ve visited a castle in Wales (or anywhere in Europe really!) that you’d recommend please leave me a comment about it! I’m always looking for new castles to add to my list. What an adorable little city! That’s the last place I think I’d expect to find a gorgeous old castle — I always picture them standing alone off on a hill — but what a unique experience! 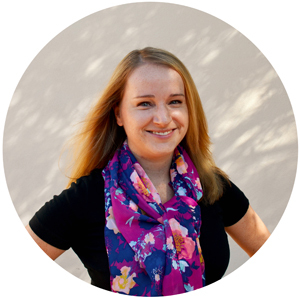 Great tips in the case I find myself there (I sure hope to!). OMG! I LOVE WALES! I studied abroad there for a while summer 5 years ago while in college. 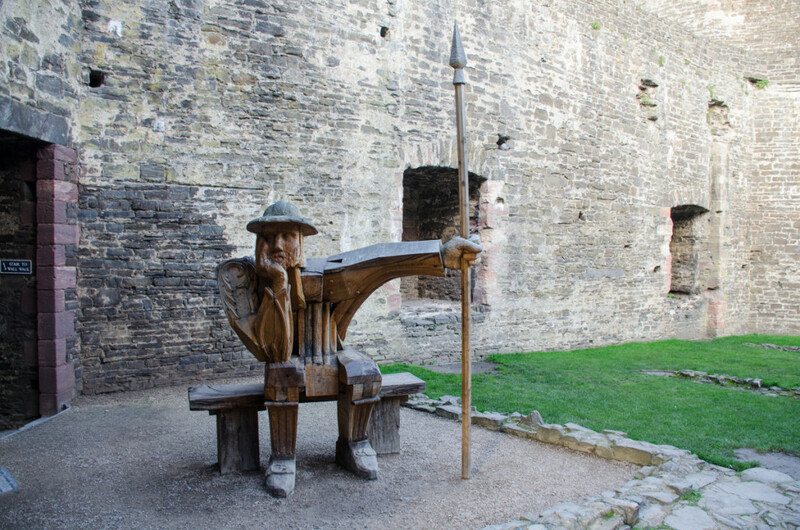 My history emphasis for my major was one medieval British history and I did my capstone on medieval Welsh rebellions. 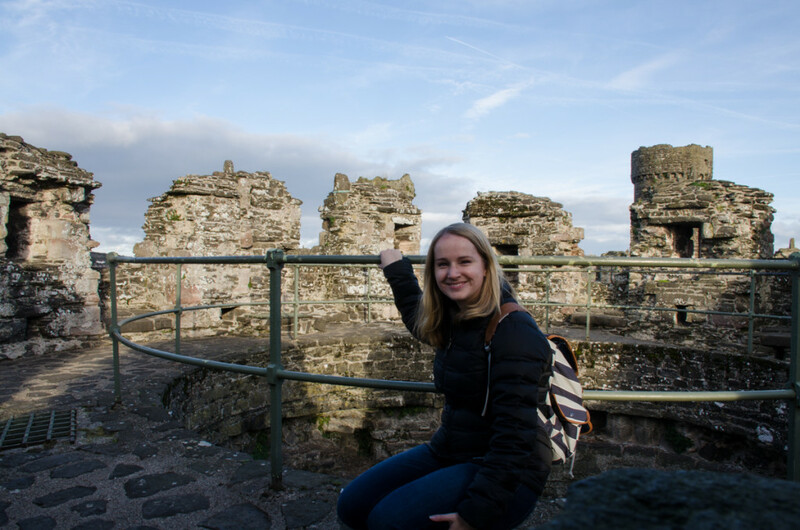 AND…dw i’n siarad yn Cymraeg…I speak Welsh! 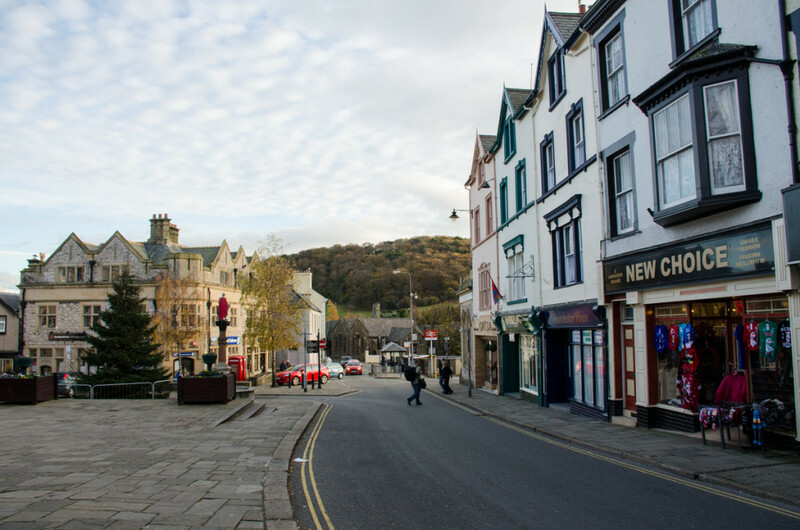 I LOVED Conwy. I thought it was so beautiful! 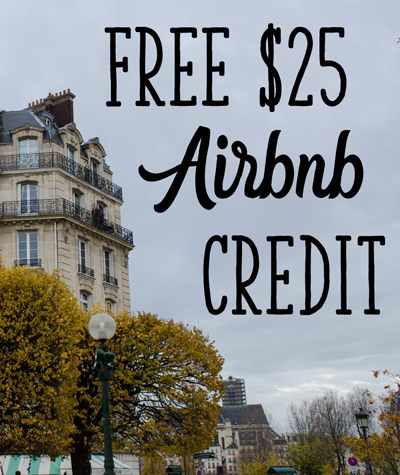 If you ever want to return, I can give you a list of Castles and cities that you MUST visit!